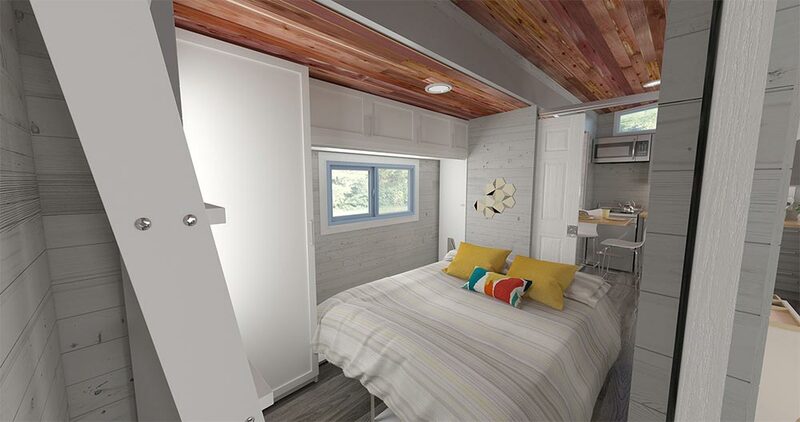 Want something wider than 8’6″ and don’t want to climb a ladder to get into bed? 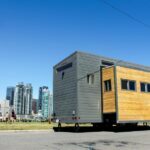 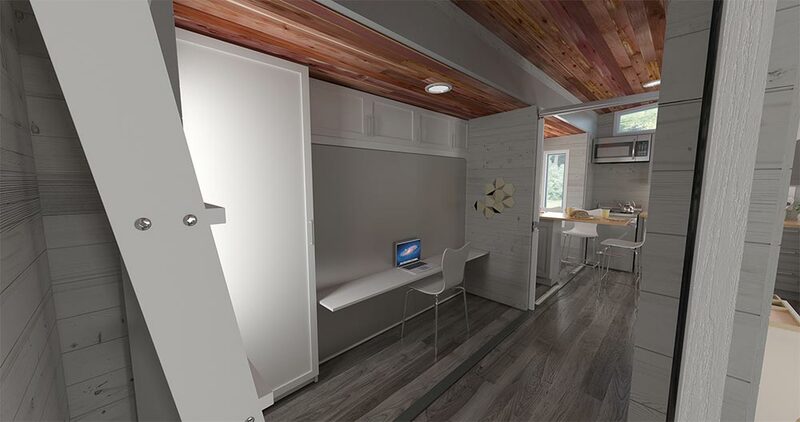 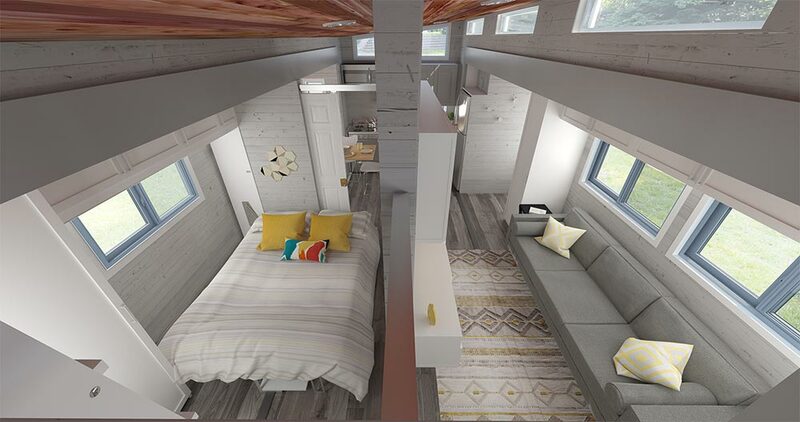 ZeroSquared, a Canada-based design company, designed a tiny house that can appeal to a larger range of people and hopefully help them realize that downsizing doesn’t mean downgrading. 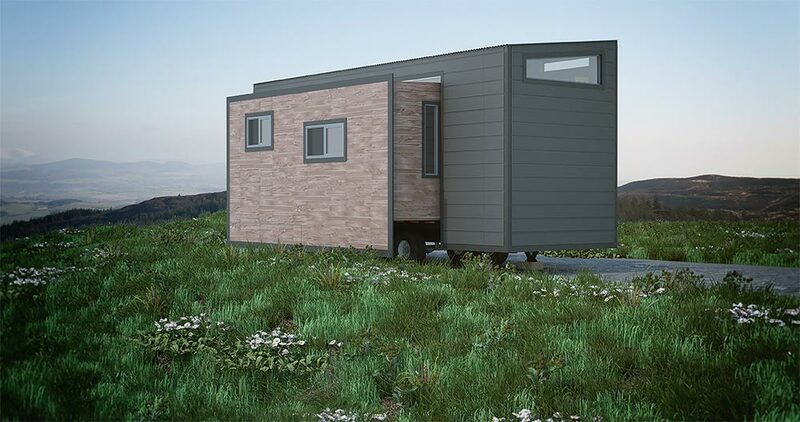 Aurora is a 26′ tiny house on wheels with two large motorized slide outs. 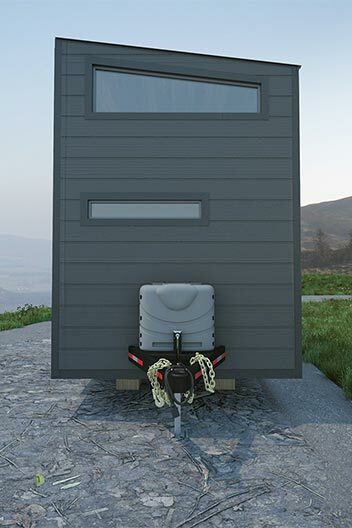 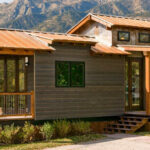 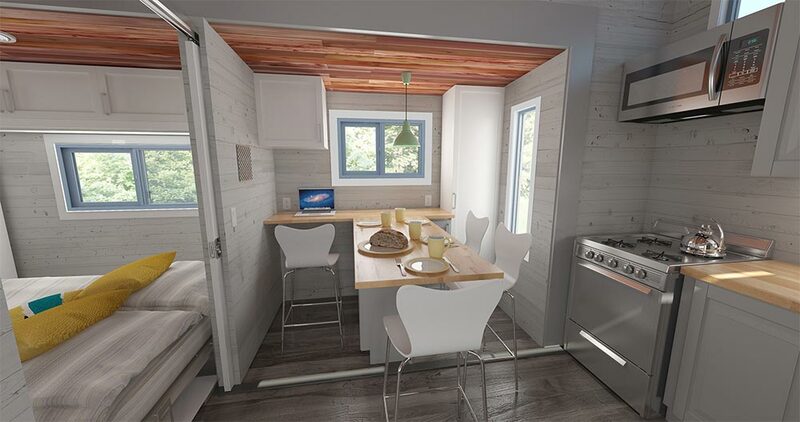 When expanded, the tiny house measures 15’10” wide and totals 337-square-feet. 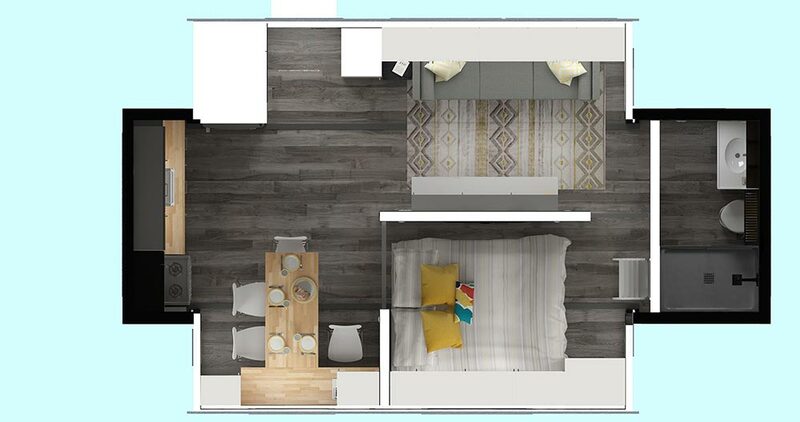 This extra space allows for a main floor bedroom, large living room, full kitchen with dining area, and a full bathroom. 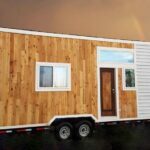 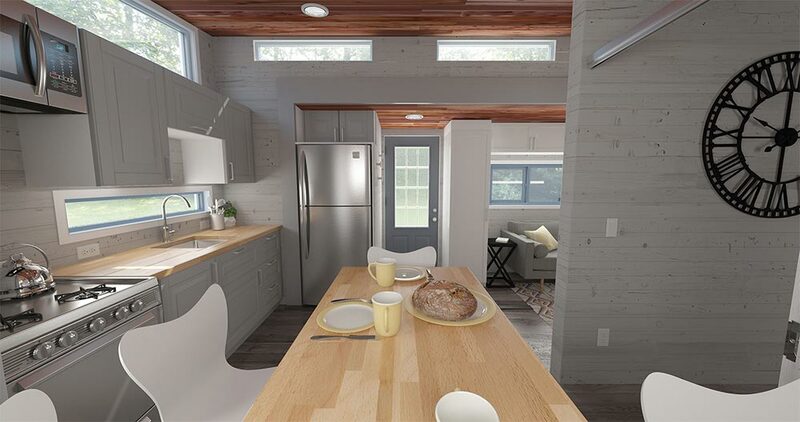 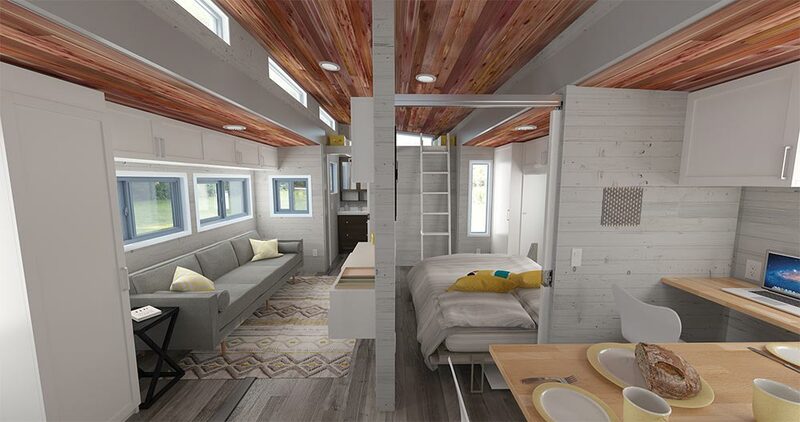 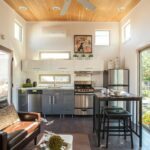 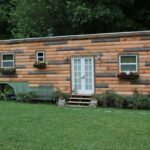 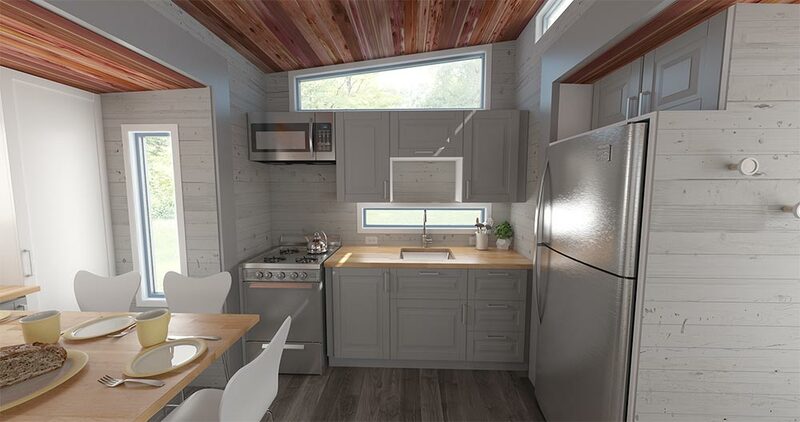 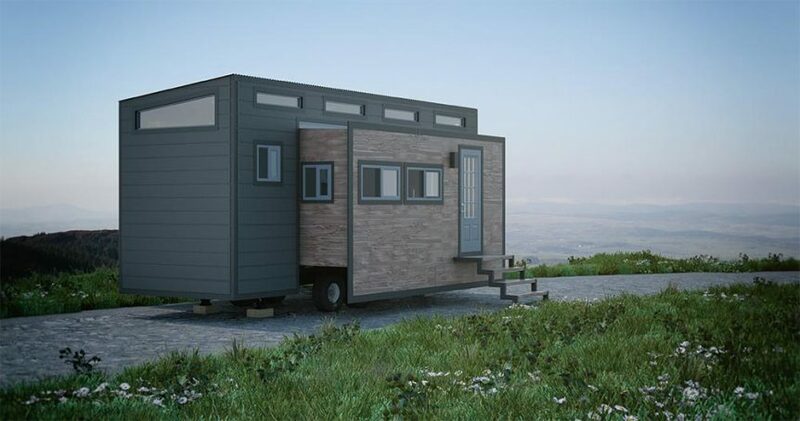 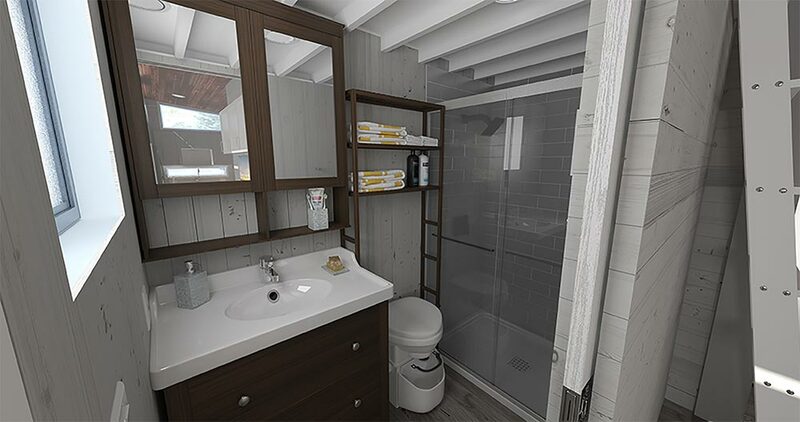 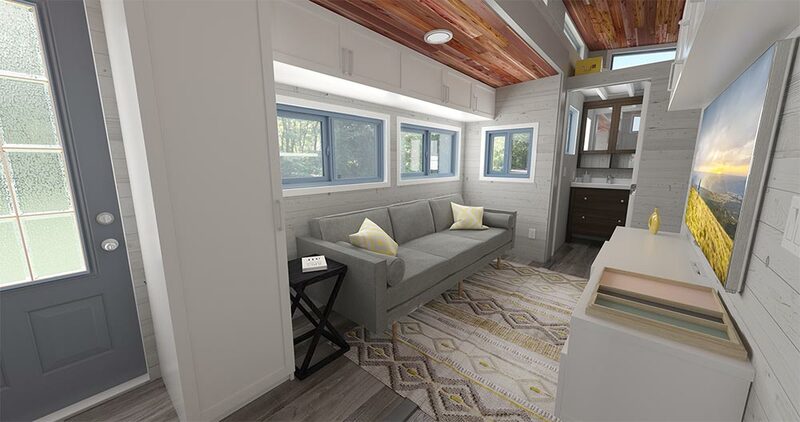 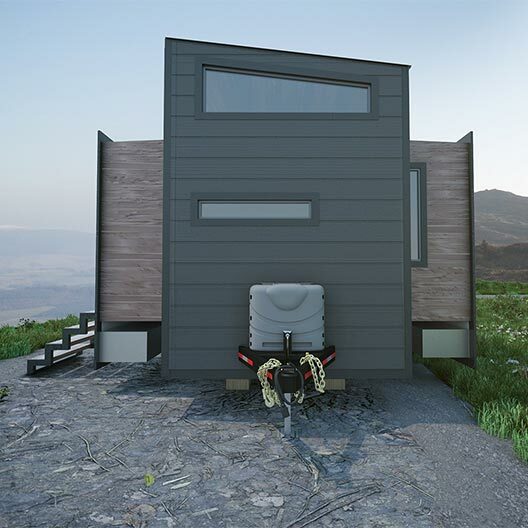 The tiny house is constructed using a custom designed rolling chassis and structural insulated panels (SIPs) for superior strength and insulation, including R26 wall panels and R42 roof panels. 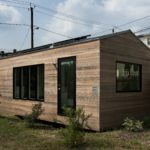 You can view more details on the ZeroSquared website.